A motorist who was jailed for eight months after pleading guilty to a charge of drink driving having been caught more than seven times over the legal limit has had his sentence reduced following an appeal. The Sheriff Appeal Court quashed the original sentence imposed on the basis that it was “incompetent”, as the maximum sentence available to the sheriff was six months, but rejected the appellant’ claim that any custodial term was inappropriate. 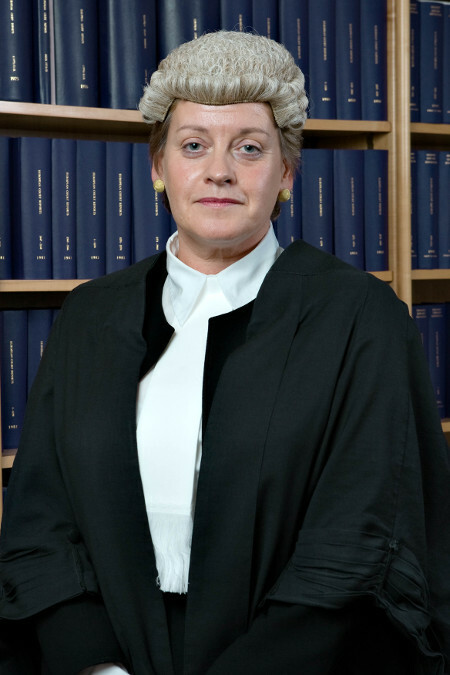 Sheriff Principal Mhairi Stephen QC and Appeal Sheriff Peter Braid heard that the appellant William Buchan pled guilty at Perth Sheriff Court in September 2018 to a charge of driving when the proportion of alcohol in his breath was 153 microgrammes of alcohol in 100 millilitres of breath, which exceeded the prescribed limit of 22mg per 100ml, contrary to section 5(1)(a) of the Road Traffic Act 1988. The schedule of previous convictions disclosed that he had been prosecuted on indictment and sentenced to two years imprisonment for possession of indecent images of children, and it was accepted that he also had two previous convictions for contraventions of section 5(1)(a). At the sentencing diet on 24 October 2018 the sheriff sentenced the accused to 12 months imprisonment; disqualified him from holding or obtaining a driving licence for nine years and ordered forfeiture of the vehicle he was driving when he committed the offence. Having regard to section 196 of the Criminal Procedure (Scotland) Act 1995, the sheriff discounted the sentence of imprisonment and the period of disqualification by one third, reaching a sentence of eight months imprisonment and six years disqualification. However, the appellant challenged the sentence imposed. The solicitor advocate for the appellant submitted that the sheriff erred in imposing a prison sentence of one year, as the maximum available for this statutory offence was six months. The remaining grounds of appeal related to the appropriateness of a custodial sentence of any length. It was argued that the sheriff erred in selecting a custodial sentence when there were “more constructive community based disposals” available which would assist the appellant address his alcohol problems. The solicitor advocate presented a letter from the Tayside Council on Alcohol confirming that the appellant had attended on six occasions. It was argued that a community payback order with supervision and an alcohol treatment requirement would assist the appellant to address his “problematic alcohol use” and ultimately “protect the public”. Although this offence was the appellant’s third contravention of section 5(1)(a) there had been a considerable gap in that offending; ten years had elapsed since his second such offence in 2007. However, the appeal sheriffs ruled that a custodial term was the “most appropriate sentence” for reasons of “public safety, punishment and deterrence”. Delivering the opinion of the court, Sheriff Principal Stephen said: “The appellant was extremely intoxicated when traced and detained by the police. The level of intoxication was dangerously high and to the extent that he could not stand. The reading of 153mg in 100 millilitres of breath is worrying not only for the safety of other road users but also for the appellant himself. “As a matter of concession it is known that he has had two previous convictions for contraventions of section 5(1)(a). In 2007 he was disqualified for five years. “The sheriff has clearly considered the terms of the report and sets out her reasoning for imposing a custodial sentence. She referred to the frequency of offending and the level of incapacity. “She observes that the previous five-year ban, and non-custodial disposals, had not deterred the appellant from driving after he had been drinking. The risk to other road users presented by a driver as significantly intoxicated as the appellant is obvious. She added: “Although the lengthy period of disqualification will take the appellant off the road for a considerable period, and will achieve a measure of public protection, that is not the only sentencing consideration. The court therefore imposed a sentence of six months imprisonment of six months, which was reduced to four months to reflect the appellant’s plea of guilty at the first calling. The period of disqualification of six years imposed by the sheriff required to be increased by the appropriate extension period in terms of section 35C(2) of the Road Traffic Offenders Act 1988. The extension period is equal to half the sentence of imprisonment, which in the circumstances of this case was two months. The appellant was therefore disqualified from driving for six years and two months.